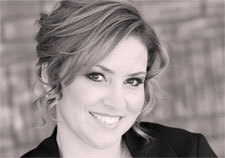 TLG Welcomes Ramona Acosta as Director of Business Development! We are proud to announce that Ramona Acosta has joined the Tinnelly Law Group as the Director of Business Development, managing the firm’s public relations and marketing efforts. Ms. Acosta has been active in the CID industry with nearly 20 years’ experience as a manager of homeowners associations and management company executive. She has earned the prestigious Professional Community Association Manager (PCAM) designation from the Community Associations Institute, and currently serves as a Delegate and PR Chair to the California Legislative Action Committee (CLAC). For Ms. Acosta’s full bio, click here. We are very excited to have Ms. Acosta join our team. Her wealth of experience working directly with Boards of Directors, vendors, and community managers gives her unique insight into the issues affecting our clients and the ways in which our firm can best serve them.